Are you attending the Emirates, Etihad or Qatar Open Day? You will need stunning pictures and a professional CV makeover for the cabin crew CV drop off day. If your dream is to become a cabin crew with Emirates Airline, Etihad or Qatar Airways, we can help. You need an outstanding professional CV resume and stunning application pictures to stand out from the crowd. We help with writing a professional cabin crew CV for you. We will also provide you with a cover letter that emphasises your transferable skills. Finally, we ensure that you have the most stunning application pictures in terms of pose, presentation and business appearance at the Emirates or Qatar Open Day. Many of our cabin crew freshers with no previous cabin crew experience have been successful at first attempt and are now flying with Emirates, Etihad, and Qatar. We have a good record of first time achievers. The Emirates, Etihad and Qatar CV drop off day is your first stage of the recruitment so give them your very best with our professional cabin crew CV. Our Professional cabin crew CV writing service is unique to you as an individual. We do not use CV samples, CV builders or templates. Instead, you complete our Emirates, Etihad or Qatar CV questionnaire, we then interact with you by email to bring out your unique relevant skills. Our service is useful for cabin crew with no experience, cabin crew freshers, as well as experienced cabin crew currently working at other airlines. You are an unique individual and we value that when preparing your new cabin crew CV. This is why we have a high number of first time achievers for Emirates Airline, Etihad and Qatar Airways. 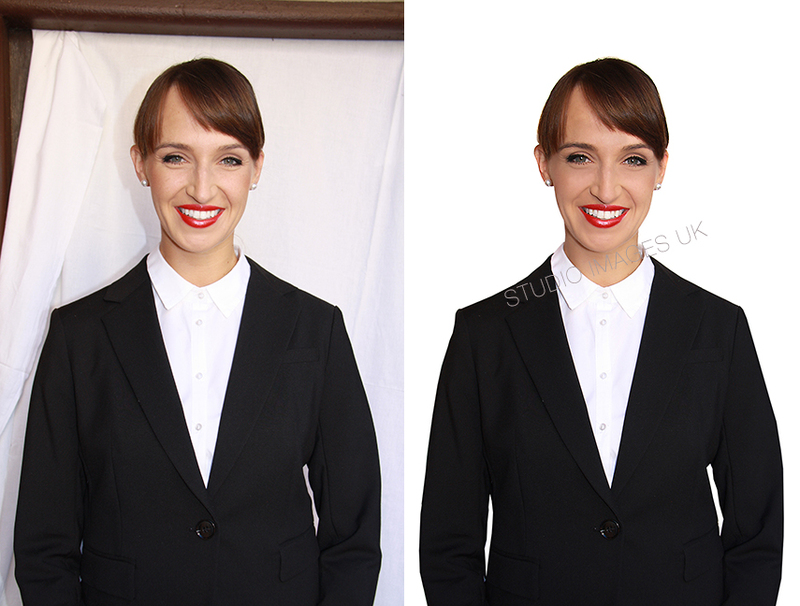 For photo editing, we work from your own pictures (full length and half length) and add the white background to your pictures. Because of the high standards of our picture editing process, the end result is even better than that offered by a professional photographer’s studio and at a fraction of the cost of a studio session! For those in United Kingdom, we can also provide a studio session if required. Our photo editing, CV writing service and cover letters are available internationally. It’s so important that you stand out from the competition. It is fact that you will never get a second chance to make that first impression. Covering letters represent a golden opportunity for you to show your passion for the cabin crew role and to show the recruiters why you are the right person for the role. More often than not, this will be your first introduction to Emirates, Etihad or Qatar, so get a professional cover letter from us. Why you? We explain to them why you want the job, we show them that you are suitable and provide relevant experience and skills that will make them want to shortlist you. Make it compelling. We design your covering letter to the specific job application so an Emirates cabin crew application would have subtle differences to that in Qatar. We never use one standard template. Finally, we tell them in a couple of sentences how you can add value to either Emirates or Qatar. A cabin crew CV with spelling and grammatical errors will not be taken lightly or forgiven by any recruiter at the Emirates or Qatar Open Day. Airlines when recruiting for flight attendants especially at Emirates, Etihad and Qatar, are looking for your attention to detail! Your CV reveals what and who you are in terms of your personality and capability. Even one or two mistakes in the English language gets your CV straight in the reject pile followed with an unsuccessful email. If English is not your first language, we would suggest you send your CV to us for a review and take-up our CV writing service. This will ensure you have your best chance at the Emirates and Qatar CV drop off day. "I found the CV writing and cover letter invaluable. They redesigned my CV with my transferable skills. I received offers from Qatar, Emirates and Etihad. They really emphasised the importance of a well written CV and cover letter." Send us one full length and a half length (full sized files) taken with your cell phone or camera. We assess and provide feedback. Order payment taken. We add a light background for the formal images. Your images are returned to you by email. Fill in our CV Questionnaire. We review, interact and find out more about your transferable skills by email. Once we receive all your answers, we prepare your new CV. Your new CV is also optimised to ensure high success with automated HR artificial intelligence software. And landed with my golden call at first attempt!" Emirates or Qatar cabin crew photo requirements - Send us the image on the left, and we will then add the white background for you (right). No neck scarves, no jewellery, no glasses, no colour contact lenses and no watches. Send your pics to us, we will edit it to the required size and add the white background. Emirates or Qatar cabin crew open day - Send us the image on the left, and we will add the white background for you (right). And above all else please remember to smile. Send your pics to us, we will edit to the required size and add the white background. Martina (above) came to us for her Emirates photo editing. She passed the Emirates recruitment process at her first attempt. "I am joining on the 17th of August and I still can’t believe it! I was really confident with my pictures and I am sure they play a big role. Thanks for the great job and support!! See you soon in London and maybe onboard too!" WE HAVE LOTS OF FIRST TIME ACHIEVERS TOO! Examples shown here are for additional Qatar photos asked after the final interview. We can also edit your application photos for the Qatar Open Day - female candidates have to wear the full jacket for the open day. If you wish to edit application or additional images, please let us know. We assist Qatar cabin crew freshers with CV review and CV writing. They are written bespoke based on your own experience. We map your experience onto Qatar’s own job description when preparing a professional cabin crew CV for freshers with no experience. All interactions are by email. We do not recommend using CV examples, templates or samples as everyone’s CV looks the same and you will not stand out against the tough competition. We advise on CV format, and bring out your transferable skills. Finally, we review your application pictures, full length and passport photos to ensure they meet the requirements. Don't forget that many of our clients who used our services secure first attempt pass with Qatar Airways. Etihad’s cabin crew are truly global citizens who share a collective passion for caring for Etihad’s guests, inspired by the traditional Arabian hospitality found in Etihad Airway’s home, Abu Dhabi. Etihad Airways aspire to surpass their guest’s expectations and inspire their customers through innovative hospitality whilst ensuring the onboard safety of each of Etihad’s guests. Etihad looks for exceptional people to join their team of award winning Cabin Crew. If you have a desire to provide world class in-flight service whilst travelling the world, Etihad encourages you to apply for one of their truly amazing positions. Etihad recruits continually through the year. Some recruitment events are assessment days meaning by invitation only. If this is the case, you should first apply online. But before that, we can help you with an impeccable CV tailored to the action keywords that Etihad Airways are looking for. International recruitment days will take place in 19 cities across Australia, Europe, the Middle East and Africa in 2019. Successful candidates will undergo a comprehensive training program in Abu Dhabi, which includes all aspects of cabin safety and service delivery. The training will be conducted at Zayed Campus, the airline's training academy. Place your order here. Credit cards or Paypal accepted. To order multiple items, order one at a time using the drop down list then use the “Continue Shopping” button on the next page to return here. We offer Photo Editing from your own photos taken on either an iPhone or Android phone. What this means is you take your own pictures, send them to us and we change the background to white or light blue for you. This service, at just GBP£12.50 per image is available to all international applicants to Emirates & Qatar. If you are based in London or South East England, we offer twice weekly photo sessions for £200. This is a professional photoshoot for Emirates, Etihad or Qatar, and edited for you to white or light blue background. If you need photographs for other job applications, please let us know too! Whilst we specialise in the three big middle eastern airlines, we are also able to help with photos for all job applications. Muckross Park Hotel & Spa, Muckross Rd. Emirates are holding regular Open Days at the above venues. Assessment Days and those where venues are not confirmed have not been included on the above list. These are their upcoming events and will be updated once a week. We encourage all that are planning to attend these Open Days in their respective cities or travelling to another city to prepare well for them. These Open Day CV drop offs could lead you to the Assessment Day and the Final Interview. They are extremely competitive and the Emirates selection process is very thorough and detailed. Without a strong CV and good interview techniques, many get sent home. At each Open Day, up to 80% get sent home after the first round. Preparation is most definitely key to success. We can help with your CV preparation, CV writing and photo editing. Contact us today for more information on how we can help you achieve your dreams. Emirates offers a wide range of opportunities within different areas of their organisation around the world, from airport services, cargo operations, contact centres to their tour and travel companies including DNATA travel. Emirates requires high calibre professionals for their customer service roles. They are often the first encounter that Emirates passengers have of the Emirates Group and they want to make sure that every passenger leaves with a good impression of Emirates. Customers service roles suit outgoing and detail oriented personalities who are passionate about service delivery. Customer service is an integral part of their success whether its at DNATA or Emirates travel and meet and greet. Roles include Tours Consultant, Contact Centre Team Leader, Software engineer, Operations Manager, Digital Market Specialist, Travel Consultant, Sales Executives, Customer Sales & Service Agents, Customer Sales, Travel executives. We help you with your CV to highlight your transferable skills. Your Customer Sales role would require the highest standard of customer service to be provided to Emirates customers, fares, online tickets, sales opportunities and promoting Emirates products and high standards of service quality. Alternatively, if you are trying for the Travel Consultant role at Emirates Holiday or Dnata Travel services, it requires you to use technology to plan tailor made solutions and complex itineraries to customers and travel agents overseeing the customers journey. If you want to have your CV reviewed, tailored or re-written, send your CV to us today and tell us the role that you intend to apply for. We then enhance your CV for you to ensure you stand the best chances of being shortlisted for the interview. The CV Review and Writing service is GBP£50 and is available internationally. When sending your CV to us for customer services with the Emirates group, don’t forget to tell us the role you intend to apply for. We will then be in touch with you within 24 hours. 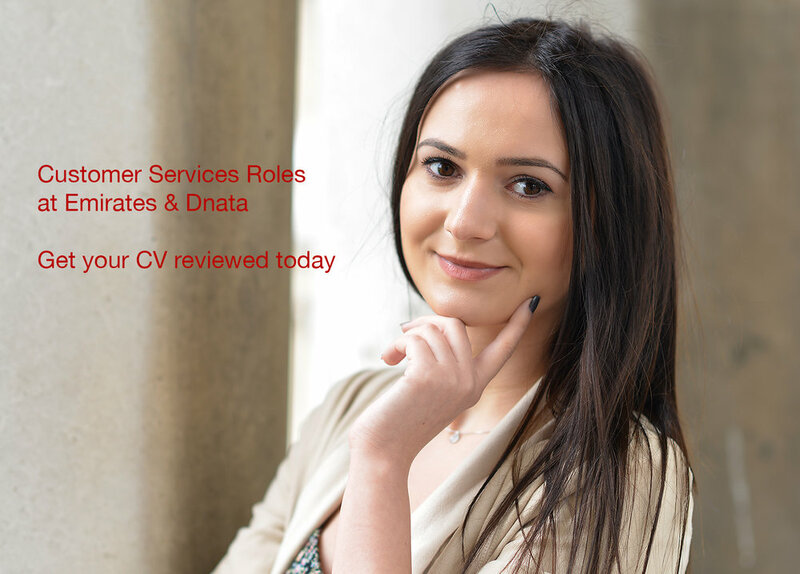 If you are applying for an Emirates or dnata customer service role, get your CV reviewed today to increase your chances.